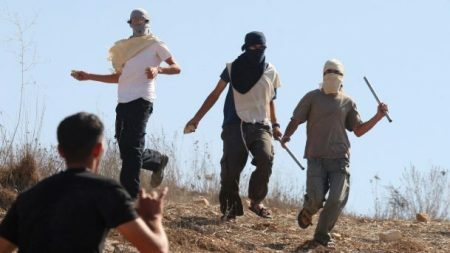 A Palestinian father and his son were lightly injured on Saturday evening, after an Israeli settler attacked them with an axe, near the village of Deir Estya, to the north of Salfit, occupied West Bank, according to a local source. There has been a noticeable increase in attacks by Jewish settlers on Palestinians and their property, over the past few days. Earlier today, a Palestinian was killed by settlers who attacked the village of al-Mughayer, near Ramallah.